Please welcome author, Claire Boston to the blog. She's a fellow Momentum author who has a new release, Under the Covers which is part of her Texan Quartet series. I’ve been writing for almost ten years now. Under the Covers, which is Book 3 in The Texan Quartet. Each story in the quartet is a complete story and readers don’t need to have read the previous books for this one to make sense. I’d been thinking about George’s story while writing All that Sparkles, and wondering what type of woman would suit him. Then I wrote a scene in All that Sparkles where Christian runs into a woman he did pro bono work for, and I realized she would be perfect for George. Elle’s backstory wrote itself and before I knew it, I had the story. Do you imagine a particular person you know, or are in the public eye when creating your main characters? Not at all. I have a character profile that I now use and I work through that when creating a character. Occasionally a character trait of someone I know will work its way into my hero or heroine, but generally I focus on what is true to that character’s past and where they need to get to by the end of the story. That’s a hard question! I have different favourites for different reasons. I liked Remy, Imogen’s father from All that Sparkles, because he was so easy to write, and I really enjoyed writing Toby in Under the Covers because he often surprised me with what came out of his mouth. If I had to choose a favourite for his character alone, then I would choose George from Under the Covers. He is such a wonderful guy and always has his heart in the right place, even if his actions are sometimes not the best. I’m mostly a pantser. Before I start a story I will write character profiles for my hero and heroine so I have an idea of what they’re like (though I don’t always stick to them). I also usually know how they meet and I work out their goal, motivation and conflict. After that I just write and see where the story takes me. If I get stuck I’ll brainstorm what could happen next and then continue writing. Occasionally I’ll have to cut whole scenes or rearrange things, but generally it all works out. I’ve just finished reading a cosy mystery, Nefarious Doings by Ilsa Evans. It’s been a while since I’ve read a mystery and I really enjoyed it. Gosh, I don’t know. I’m quite happy being me! Elle owns a bookshop café and wants to have musicians on the weekend to add a bit of ambiance. George has put together a list of his artists and they are meeting to discuss whether any are suitable. Elle flitted around the shop, brushing non-existent dust off her books and wiping already-clean tables again. She checked the clock for the tenth time – five to four – and cursed the fact that for the first time all week, the café was quiet, with only a few customers. The tables were set, the books were restocked, and the sugar containers were full. Any other day she’d send Nora home now, but George was due to arrive any minute. He was the reason she was in such a state. Calling George hadn’t gone the way she’d hoped. Initially she’d intended telling him all his artists were unsuitable, but damned if he hadn’t chosen wonderful voices that would be lovely in her shop. 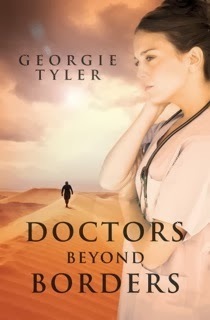 She wanted her business to succeed too much to refuse them because she didn’t want to deal with George again. But then she was sure they could have arranged it over the phone. To give herself a boost of confidence, she’d changed out of her uniform and dressed in the one business suit she owned. She wanted to portray the image of a successful business owner. Checking her reflection again in the display cabinet, she huffed out a breath. She was being ridiculous. Annoyed with herself, she turned to head out the back to check the kitchen – and the chime on the door sounded. He was dressed in a gray suit with a white shirt. The tie he wore took the look from completely professional, adding a bit of fun with its bright, colorful cartoon knight. Elle’s heartbeat increased and she swallowed. While he searched for her, she started forward, determined to be polite, professional and to the point. “Elle, nice to see you again.” He held out his hand as she approached and she had no choice but to take it. Glad for the excuse to distance herself, she said, “Why don’t you take a seat over there and I’ll bring it right out?” She pointed to the table she’d set up ready for their meeting and hurried away. “Two lattes,” Elle told her and put the cups under the nozzles. “How’s business going?” George asked. “That’s great.” He seemed genuinely pleased for her. That was the last thing she needed. “It will be during the day,” she told him. “A benefit of working for yourself,” George told her. “You can choose your own hours.” He grinned and Elle couldn’t help smiling in response. It was infectious. “Well I hope this doesn’t stick. I can’t afford to feed a horse.” Nora laughed and went to serve another customer. Elle sipped her coffee. “The red-haired girl who came in on opening day? I thought she was Adrian’s niece? Are you brothers?” Piper had said George was his manager. How awful, but Elle was intrigued. She wanted to know more about how they came to be foster brothers, because she’d met George’s sisters the other day – there were already four Jones kids. What would make his parents take on another two children? This was veering into territory she needed to avoid. “An older brother.” Her heart squeezed when she thought about James, who’d always been her protector and her hero when she was younger. Until Dean came into her life. She doubted she’d ever be able to fix their relationship, and James had never even tried. “What fees will you charge for these artists?” she asked, pushing the CD toward George. Pride surged up in her. She’d thought it was a good idea as well. She wasn’t sure if it would work, but she’d try it. They discussed dates and times until they locked in what suited them both. “I’ll send you an email with all the details,” George said as he switched off the tablet. “Thanks.” Elle had her scribbled notes but she wanted to check and confirm everything before she signed. It was close to closing time and she was far too comfortable sitting across from George. He was surprisingly laidback and easy to be with. He wasn’t scornful of her ideas, and if he disagreed, he did so politely, but let her make her own decision. Elle sat back, shocked. She’d been comfortable, relaxed and he had to throw this curve ball at her. Heat rushed to Elle’s cheeks. She didn’t know what to say, but she had to get out of there. The bell over the door rang as a customer came in. She half stood, looked over and froze. What the heck was she doing in Houston?